US equity indexes closed moderately mixed, sp' u/c at 2459. The two leaders - Trans/R2K, settled -0.5% and +0.2% respectively. Near term offers a minor retrace to the sp'2435/25 gap zone. 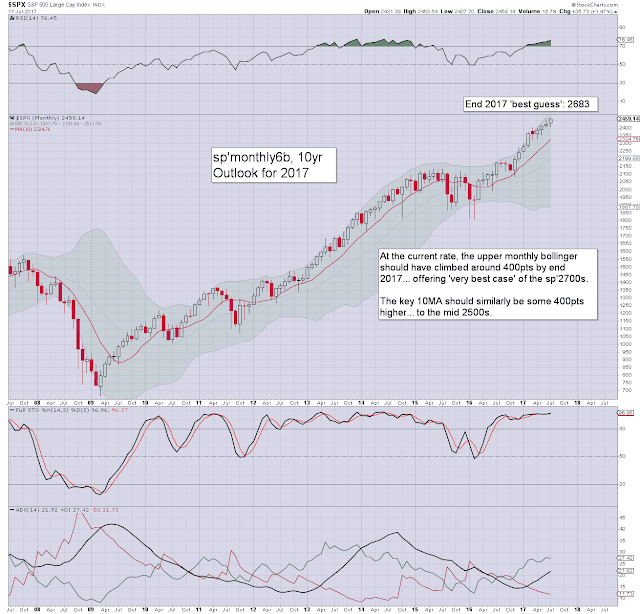 Most now recognise the 2500s will seen this summer, then its merely a case of whether the year closes in the 2600s or '700s. It was a pretty sleepy day in equity land, with the sp' seeing a trading range of just 5pts. 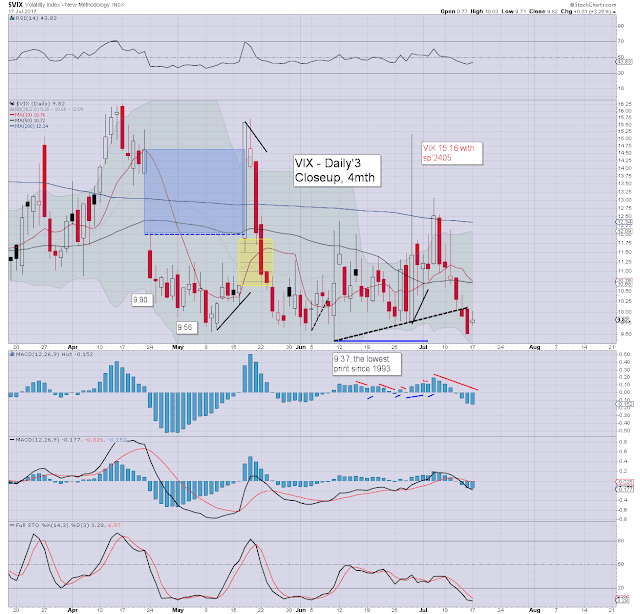 Volatility remained subdued, but the VIX did finally manage a net daily gain, if still in the 9s. 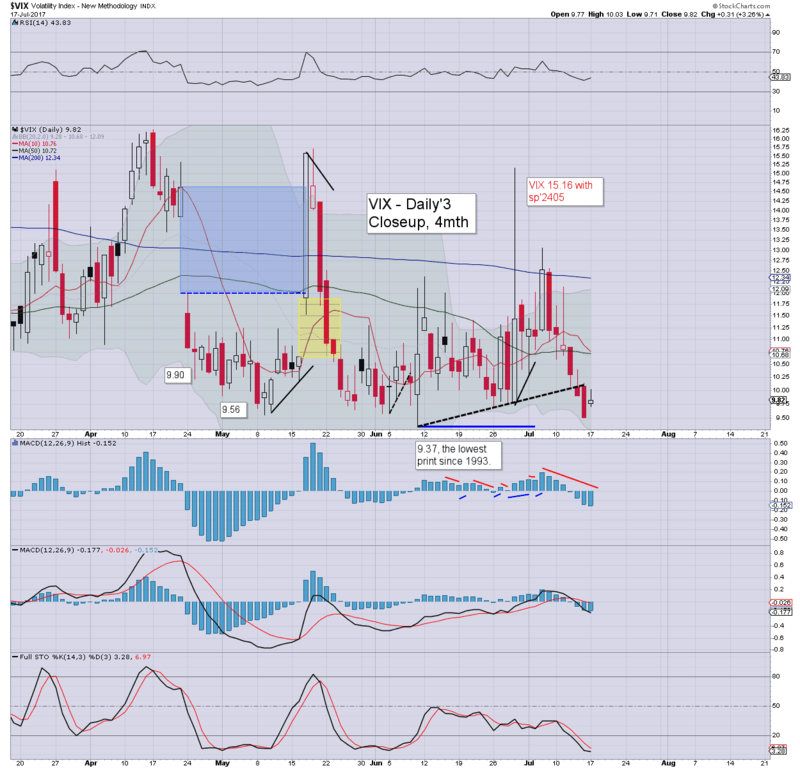 Near term, high confidence of a retrace to the 2435/25 zone - with VIX 11/12s, before renewed upside. 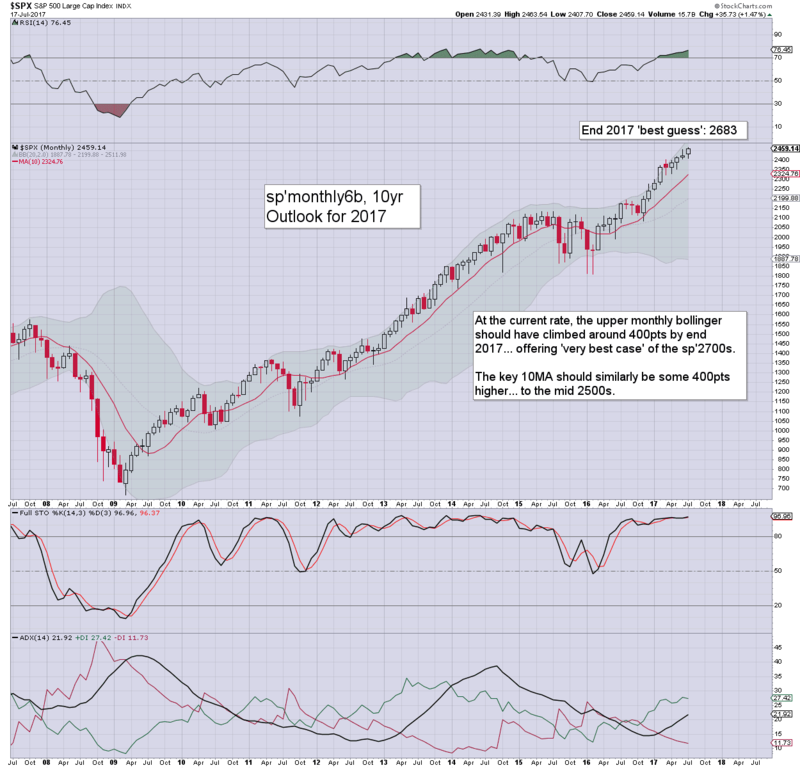 Week after week, month after month, I've touted the end year target of sp'2683. Nothing has changed, the original target remains on track. 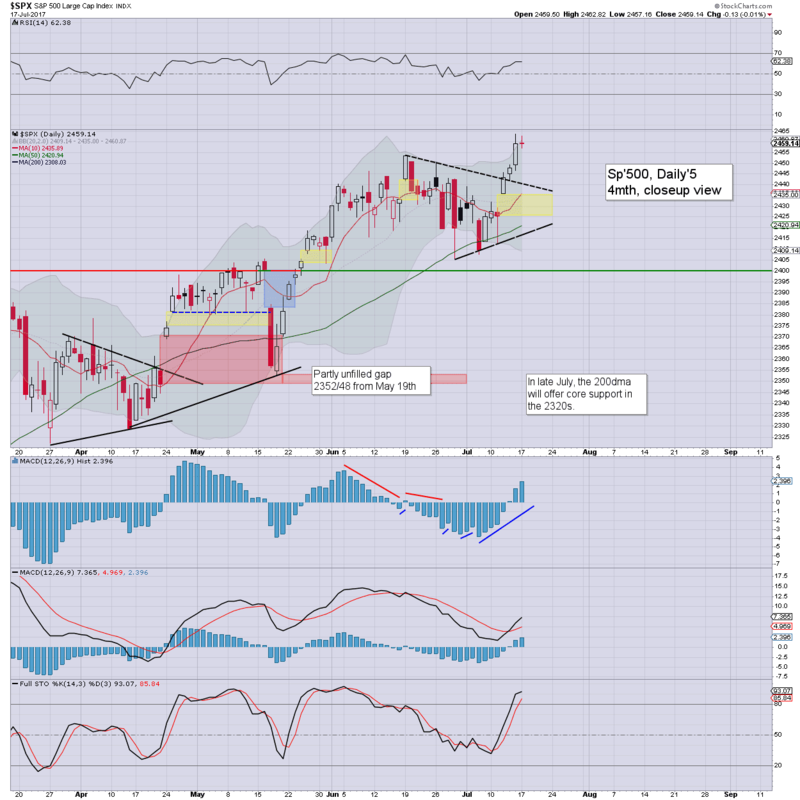 The market has teased the bears with minor retraces of a few percent, and we're typically 5% above the key 200dma. Keep in mind, the kooks will be coming out of the woodwork in a few weeks time, as a solar eclipse will occur (Aug'21st) across North America. The dollar doomers continue to spout their nonsense on Youtube, with some of the more infamous precious metal bugs still touting $500 silver and $50k gold. The bulls only have to trade flat across the 'delicate time' of Sept/Oct. which is always a vulnerable time for the market, as some realise a painfully long six months of chilly grey gloom is ahead. Right now, there is still zero reason to think the mid term trends will be broken any time soon.